I’ll be the first to admit when I got into medicine I never once thought I’d spend so much time talking about weight loss. However, the longer I practice the more I realize how important weight loss is to total health. Part of the reason I talk about weight loss has to do with how many people are overweight. Estimates by researchers say as many as 160 million Americans are overweight. That’s 1 in 2 people carrying around too much fat. Being overweight is so common, it’s become normalized. Sadly, because it’s so common, the diseases and conditions birthed from being overweight are on the rise too. Things like cardiovascular disease, neurodegenerative disorders, arthritis, cancer, Type 2 diabetes, and many more deadly conditions are all linked to being overweight. 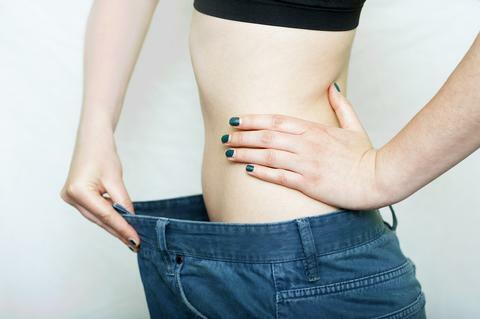 The good news is you don’t have to lose all of your excess body weight to improve your health. In fact, a recent study from researchers at the University of Texas Health Science Center showed if you lose just 5-10% of excess body weight it can dramatically improve your health. Just a few days ago they published their research in the journal Mayo Clinic Proceedings. To show that it didn’t take much weight loss to improve health, they compiled data on 7,670 adults; all who voluntarily provided in-depth information on their cardiometabolic health, their weight, waist size, blood sugar levels, as well as cholesterol levels as part of the National Health and Nutrition Examination Survey. After running an analysis on this wide body of information they discovered when a person lost just 5–10 percent of excess weight, they were 22% less likely to develop metabolic syndrome. And if they cut their weight by 20%, their chances of developing metabolic syndrome plummeted 53%. This finding fully reinforces what I’ve been saying for years as metabolic syndrome is linked to a number of deadly conditions like heart disease, diabetes, stroke and more. Now, there was a downside to this study. In their findings, the researchers noted it was really hard for people who needed to lose weight to actually drop the weight needed to improve their health. Roughly 62% of the study participants who needed to lose weight, simply couldn’t shed the pounds, no matter how hard they tried. This is why if you’ve ever struggled with weight loss I highly encourage you to look into the ketogenic diet to help shed the pounds. If you’d like to learn more about the ketogenic diet take a look at some articles I’ve written on the subject below. Is the Ketogenic Diet All It’s Cracked Up to Be?